We have spent a decade creating beautiful, innovative baby products in soft cotton muslin, and collaborating with iconic brands to bring our fans products and prints they won’t find anywhere else. 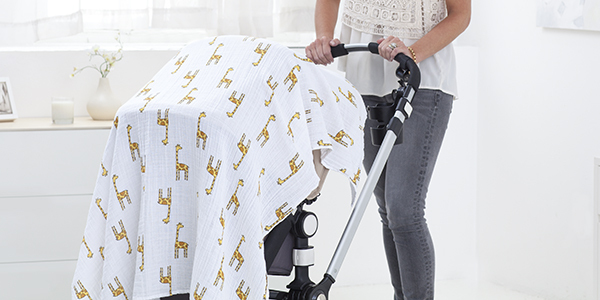 Last year we launched aden + anais x Disney Baby, a product collection that features new prints inspired by the beloved Disney tales of Bambi, Winnie the Pooh and The Jungle Book. Fans around the world fell in love: our Disney Baby collection was such a success that we’re happy to say it’s growing! Sweet Dreams…Sleeping Bags are here! With our breathable classic baby sleeping bags, there’s no need to stress over loose blankets in the cot. Impossible for little legs to kick off, the 1 TOG sleeping bag slips over pyjamas and zips open from the bottom, which means easy access to nappy changes. 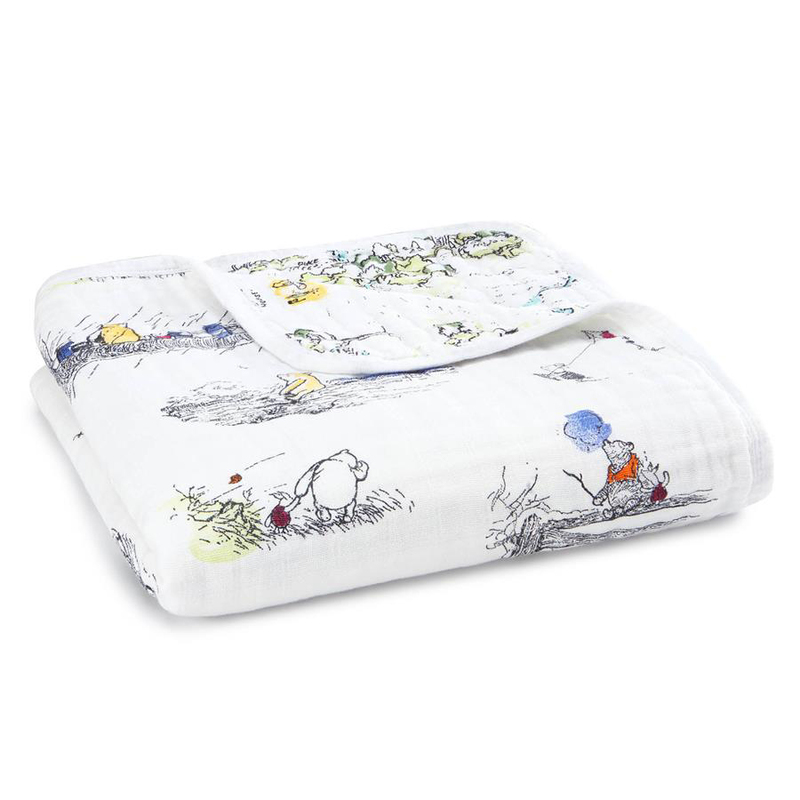 Our classic sleeping bag for baby is now available in our Bambi and Winnie the Pooh prints! 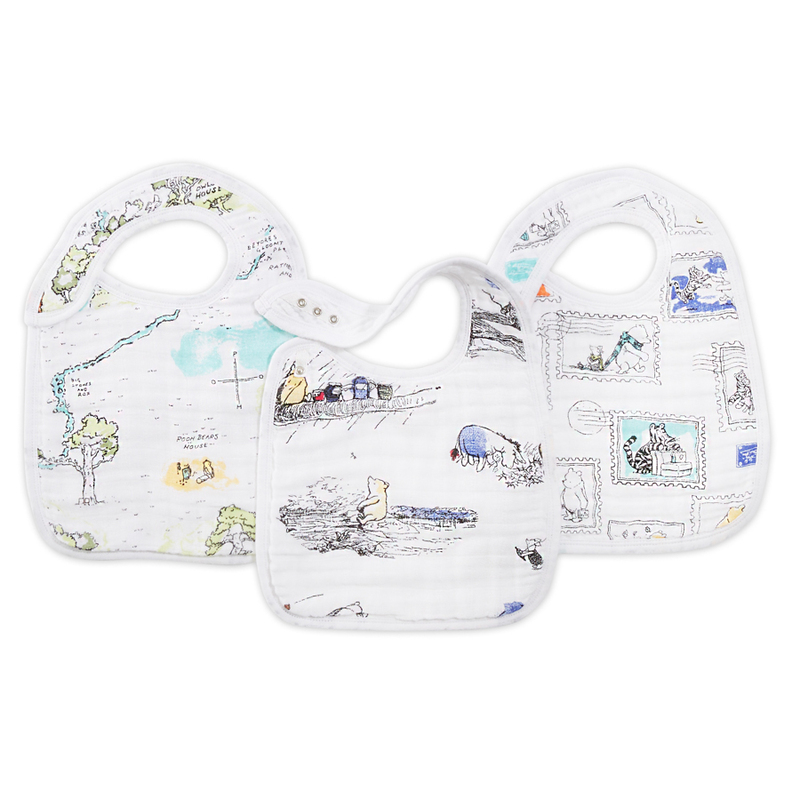 A three-pack of bibs that is built to last. Our 100% cotton muslin bibs feature three snaps conveniently located in the front for an adjustable fit and easy fastening, making it the perfect newborn bib that grows with baby. Now available in our Bambi and Winnie the Pooh print collections. Our Brooklyn-based design team put an aden + anais twist on Disney favourites like Bambi and Winnie the Pooh, creating new print collections that blend style and nostalgia. To create the Bambi collection, designers captured the world of our favourite little deer by hand-drawing original Disney illustrations and adding watercolour and ornate patterns. The result is a print collection that feels at once vintage and fresh. Our Winnie the Pooh collection took inspiration from the original storybook by AA Milne, enhancing the classic vignettes and the map of the Hundred Acre Wood with watercolour splashes of colour. aden + anais x Disney baby collection is here. check it out!